The Salvation Army of Greater Birmingham administers the only registered Project SHARE, or Service to Help Alabamians with Relief on Energy, in Alabama in partnership with Alabama Power and the rural electric cooperatives. 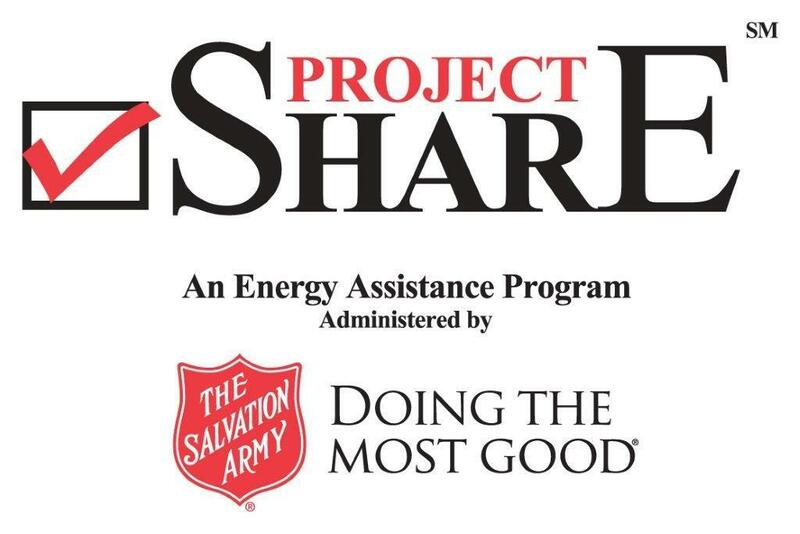 Project SHARE provides emergency energy assistance to elderly and disabled Alabamians in peak winter and summer months. This program was previously administered by the American Red Cross. The Project SHARE program began December 15, 1982. It is the intent of Project SHARE to help meet the energy needs of qualified head of household individuals with limited income who are either elderly or disabled. Individuals should not be employed and should be facing financial challenges with payment of energy bills. Eligibility criteria, allocations and program guidelines can change from year to year based on funding and other conditions. The program assists Alabamians in 59 counties statewide. Since it was established 34 years ago, the program has provided $38,403,713.28 in assistance to 385,834 families. Project SHARE is funded primarily by contributions from the customers of Alabama Power Company. Customers simply pledge to donate $1, $2, $5, $10 or any other whole-dollar amount to Project SHARE by checking the box on their monthly utility bill. This amount is conveniently added to each monthly bill and all donations will be forwarded to The Salvation Army. These donations will be spent assisting neighbors across Alabama that need assistance paying their power bill. If you would like to make a financial contribution to assist neighbors in Alabama, you can give directly to Project SHARE through The Salvation Army. Donate by Phone: Call (205) 328-2420 to make your donation, please designate your gift for Project SHARE. If you are faced with a crisis, applicants need to apply for Project SHARE assistance at the office in their county of residence. If you need help with your power bill, please call The Salvation Army at 205.328.2420 or contact the local servicing agency in your county listed below.